Great looking Salt and Pepper set in the shape of a Policeman and Police Box. Will brighten up and Police Officers kitchen table! The item is approximately 8cm tall for both policeman and police box. 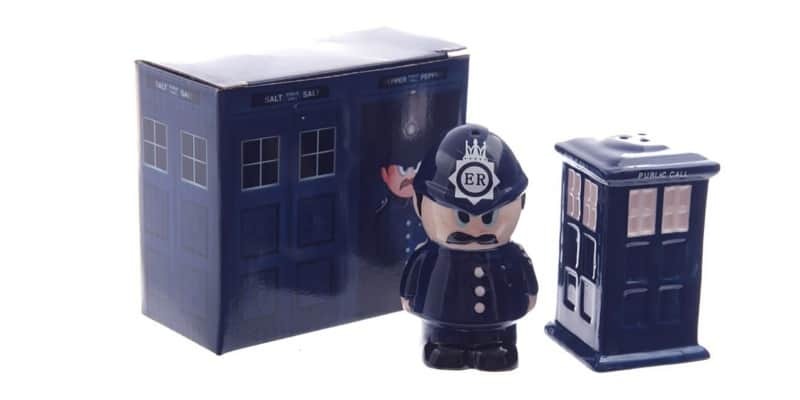 Get this novelty Policeman and Police Box salt and pepper set today! It will look fab on the kitchen table.